West Ballantyne Animal Hospital is a full-service veterinary hospital started by Dr. Tom Linfante. 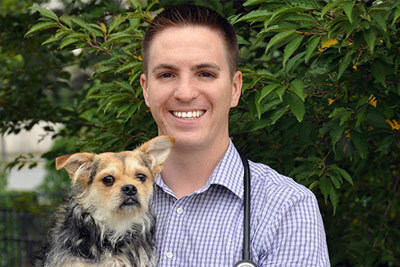 He has been practicing veterinary medicine in the Charlotte area for over 8 years. As your local family veterinarian, we want your pet to be part of our family. We offer full preventative care services including vaccinations and heartworm and flea preventatives. We treat every pet as an individual, tailoring a specific plan for every pet. We have everything we need to treat any sick or ill animals. On-site laboratory testing, including blood work and digital x-rays, help us quickly diagnose your pet’s problem and treat it correctly, a full surgery suite for all your surgery needs, teeth cleaning equipment and digital dental x-rays to determine the root of your pet’s mouth problems, and in-house pharmacy for quick emergency vet service. We invite you to keep up with us on Facebook, and we are beyond excited to bring great medicine and service to both you and your four-legged kids! Contact us to learn more about our veterinarian services, and schedule a visit today.